Welcome to Free Tarot! Your new destination for Tarot, Numerology, and Psychic Readings! I have been reading Tarot cards and studying Astrology and Numerology for most of my life, and I am thrilled to have the opportunity to share my lifelong passions with you. I have built an accurate system that delivers free Tarot readings online, using Tarot card interpretations derived from years of study. I hope it leads you to the answers you seek. Over the last couple of centuries, Tarot has grown to incorporate powerful mediums like Astrology, Runes, Numerology, and the I Ching. 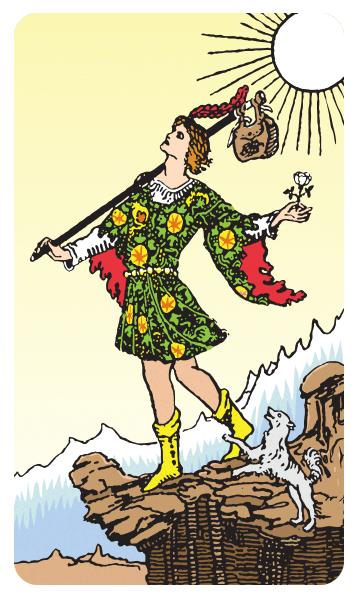 Free Tarot uses beautiful artwork for all call cards in the reading, to really immerse you in the spread. If you would like to skip right to your reading and try Free Tarot's on-line 3 card spread, with unique interpretations for each position in the spread, click the blue "Start Your Free Tarot Reading" at the top of this page. When you start your reading you'll first shuffle a vitual Tarot deck, then you will select the three cards that will be used in your reading. This shuffling uses astrological time and the position of your hand to give you a truely authentic reading - the cards are NOT randomly generated by a computer! Numerology dates back to the ancient civilations of Babylonia and Greece. Pythagoras belived that everything is connected through a numerical relationship - and he spent most of his life disocovering their secrets. The Vibrations associated with each number appearing with calcuations (such as with your birthday, or name) can influence your behaviour - and even point out your destiny. Take a look at some of the calculators to the right, and discover how Numbers can influence your life today!